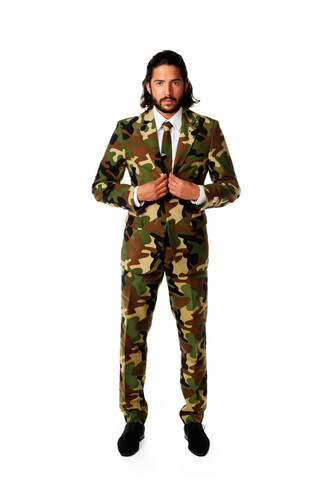 Shinesty’s Rogue Gentleman Camo Dress Suit is 100% polyester composite, and features a camo pattern which will allow you to blend into a wooded environment while looking sharply dressed; sorry to say in the business world you’d stick out like a sore thumb, but, hey, you can’t win ’em all. This entry was posted on Friday, July 24th, 2015 at 11:25	and is filed under Camo, Clothing. You can follow any responses to this entry through the RSS 2.0 feed. Both comments and pings are currently closed. I’d use it for a job interview.